Worship — 8:00 & 10:00 am in Sanctuary upstairs. Lutheran means we take our confessional cues from the key theological insights highlighted by Luther and his colleagues like Phillip Melanchthon. Luther prioritized God’s initiative in grace through Jesus Christ for human beings. Faith as reconciled relational trust between human beings and God is initiated and sustained by the work of the Holy Spirit in us. Human beings are beloved of God and are freed for lives of love for God and for neighbor/Creation as self. Every descriptor that follows flows from this prioritization of God’s grace and love for the whole Creation. 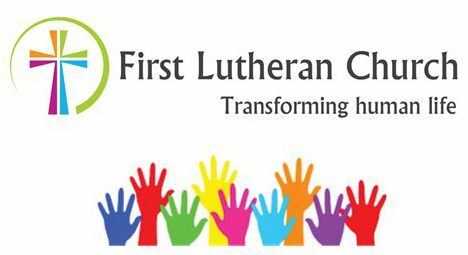 We are a missional faith community rooted in the Lutheran tradition. We are committed to loving God and our neighbor: fellow church member, our out-group neighbor, and the nonhuman members of Creation. We conceive our work as collaborative partnership with God and neighbor for the flourishing of all within our “common home,” to borrow a phrase from Pope Francis. We are broken, too, and in need of continual renewal. Who we are equally means we who we are becoming. We are a local church always undergoing God’s transformation. We are followers of Jesus. We are imperfect, sometimes conflicted, but never without passion for the big things in life. We envision our life together beginning and finding fulfillment in communion with the triune God. God’s gracious love sustains and challenges us. and making sense of what it means to live deeply, abundantly generous and loving lives for the sake of the whole Earth locally and globally. Let’s be unequivocal about who have been historically marginalized in society and around the world: the immigrant, the refugee, people who identify as LGBTQ+, women, the elderly, the unemployed, the homeless and hungry, the poor, the prisoner, people of color, religious and ethnic minorities, people with disabilities and mental illness….made in the image of God and the neighbor we are called to love. Quite a number of us can personally identify with the list above. We know firsthand the trauma and challenges caused by society and even the very church called to love, not hate. Equally, we are an “all hands on deck” and “many hands make light work” kind of church against a consumeristic, individualistic distortion of Christianity endemic in the U.S. We are the body of Christ, a mutually-interdependent contrast-community where social status is grounded in our baptismal, missional identity not privilege or power. The journey you join may include filling your perceived need, but it is so much more than that. Your presence means we will love you right where you are at, somewhere between broken and whole. God is not yet finished with you (or anyone of us!). When you participate, you join a radical, local mission intended for hope, justice and transformation in this local community. Maybe most important to a curious prospective partner, i.e., YOU, we welcome you to this journey. Collaborative Partnerships for Restorative Justice (shalom) and the Common Good. Creative, Adaptive Approaches to Mission and Ministry. Enacting Compassion Locally and Globally . Distributed Responsibility for Spiritual Care and Ministry. Hospitality and Inclusion for the Marginalized. Struggle in Making Sense of being the Body of Christ in a World of Flux. Disclaimer: We are in process. The vision above imagines who we have been and hope to be at our best. We are not monolithic in all of our beliefs nor at the same place theologically and spiritually. May our journey be marked by humility, healthy laughter, hope, compassion and joy. Read more about God’s transformational journey over the past 12 years.